If you are between 7 and 16 years of age, and want a summer camp that you and your friends can enjoy, Hockey Opportunity Camp (HOC) is the perfect place for you. Hockey Opportunity Camp (HOC) is a unique combination of “best in class” hockey training and traditional overnight summer camp experience in Northern Ontario. 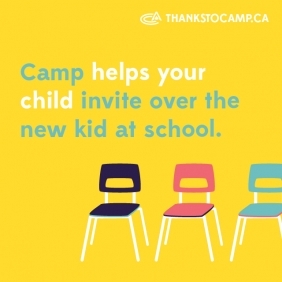 HOC is an Ontario Camps Association (OCA) accredited camp. Don’t worry if you don’t play hockey! We have a Overnight Camp & Overnight Water Ski Program that may suit you better. With any program you choose, you’ll be sure to learn new skills within the activities you choose, create lasting new friendships, meet awesome councillors that really care and express your independence in a safe and fun environment. How many other campers are there? 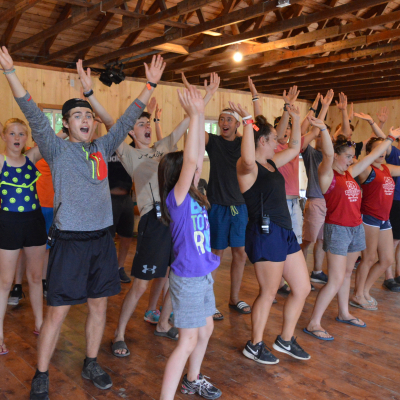 We have approximately 240 camper spots available each week of camp, 30 of these spots are reserved for our Senior Camp (older campers) and they fill up very quickly. 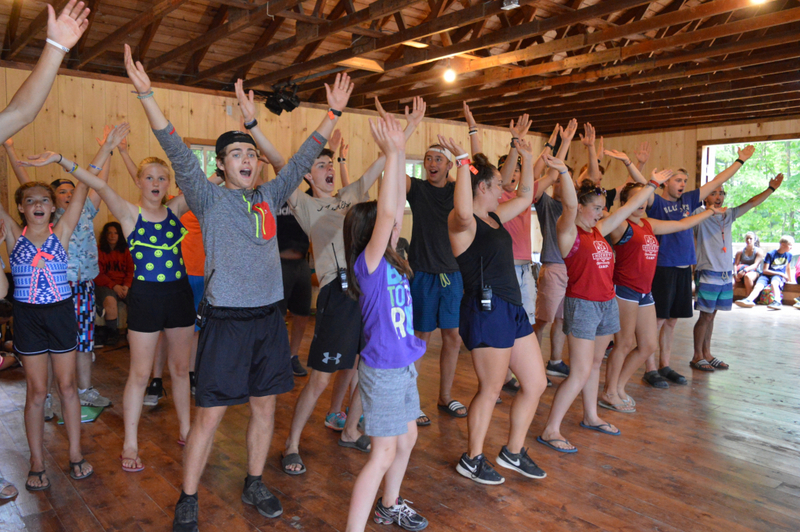 Whether you are coming on your own or with a friend or in a large group, you’ll be comforted to know that you’ll be placed in a cabin and section with other campers your own age. Campers live in cabins with 8 – 10 other campers. What if I'm part of a group? Many of our campers who come in a group are members of a hockey team who wish to train together or friends who love hockey and want to share a summer camp experience. I'm not the greatest player. Will I fit in? Don’t worry if your level of hockey experience is different from your friends. HOC is for all levels and our campers represent the full spectrum of skill level from House League to AAA Rep.
Players are divided on the ice into one of four player ability groups (each group given different hockey jersey colour). Our experienced instructors challenge each camper at their own pace and help campers progresses through their own personal skill development. ...You like lots of fun, adventurous activities. We've got water skiing, mountain biking, archery and so many more activities. ...You love the water. Whether it is jumping off the end of a dock into beautiful Eagle Lake, sailing, kayaking, paddle boarding, canoeing or listening to the call of the loons – HOC is the place for you. ...You like the idea of spending a whole week with your close friends. Share a cabin, eat great meals together, enjoy camp fires and have fun doing all sorts of activities together. ...You want to build team spirit. ...You want to really improve your hockey skills. ...You want to spend time with your friends but don’t play hockey yourself. You can still share a cabin and do all the other great camp activities together. It was a well run program and it was a good experience for me....I gained different/important skills you need to be a great leader. Absolutely delicious [food]!! Good variety. There are so many wonderful things to look forward to at HOC! Top-quality instruction both on and off the ice. Our instructors and coaches are experts at what they teach, love to work with children and are trained to help every individual at every skill level. A traditional camp experience including daily lakefront activities like water skiing, mountain biking, swimming, canoeing, sailing, kayaking and so much more! Campfires, skits, songs, great food and making close friends that could become life-long friends. Being outdoors, in the clean fresh air of Northern Ontario, for a huge part of every day. Having a sleepover every night with your friends in your cabin. Being busy – learning, sharing and enjoying with friends and staff. Meeting kids from all over the world!